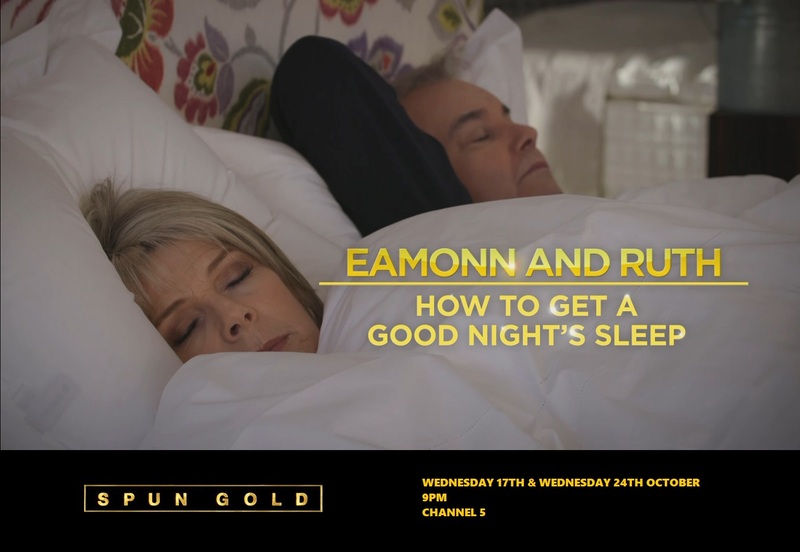 The Sleep Show, presented by Eamonn Holmes and Ruth Langford aired at 9pm on Wednesday 24/10/2018 and featured FSS consultant, Sue Holmes. In the first part of this article series, published in the November newsletter, she shared her experience of filming for the show and some useful tips if you didn’t manage to watch it. In this the second part, she examines sleep from a heaven, earth and human perspective. When looking at quality of sleep from a feng shui perspective, we can examine it from a heaven, earth and human angle, and the yin and yang aspects within those. Heaven’s qi is the sunlight and shade affecting the bedroom, and how hot or cold the weather – most people like to sleep in a room that can be made dark, with a comfortable temperature for their climate. The yin aspect of heaven’s qi are the more intangible influences such as astrology. ‘Flying Stars’ can be described as an astrological method of feng shui that considers the influence of cycles of time with the direction the house sits and faces, that reveal patterns of potential support for health (and wealth) in each location in the house, which can be balanced using the five elements (wood, fire, earth, metal and water) – metaphorically speaking. Earth qi is the ‘form’ ie, the influence of the physical environment, landscape, architecture and furnishing of the building. Usually, bedrooms are more relaxing at the back of the house, where it tends to be more sheltered, protected and still, and there may be a garden view, and connection with home-life, rather than the open street, movement of traffic, and connection with the outside world, at the front. The bed should be positioned in the most protected, secure position in the room, so that when you are in bed, you can clearly see the doors and windows, and there is a solid wall behind the head of the bed, creating a sense of safety. Ideally the line of qi that flows between doors and windows does not cross the bed. The door should open in the direction that does not give someone an immediate view of the bed as they enter. Try to avoid sleeping under sloping roofs or beams, or where sharp corners point towards you, or directly in line with the door (creating a sense of vulnerability). If you share your bed, see that you share the same view – a window, or picture that you both love. The physical shape, furniture and decoration of the bedroom will create a certain atmosphere – the yin aspect of earth qi. Bedrooms tend to be decorated in a more yin fashion than the kitchen for example – with soft furnishings and lighting, so that it feels cosy, peaceful and calm to encourage sleep. The only exception is a kid’s room, which is often their play room too, so they tend to be more colourful and busy. Try to avoid having anything to do with work in your bedroom (or if you have to, keep it covered when not in use). Is your bedroom clutter-free? If there isn’t a great view from your bedroom window, you could have a picture of a view you love. Do the pictures, items and ornaments in your room represent love and peace or isolation/conflict? Are there healthy plants or struggling ones? Does it feel like a sanctuary/love nest/tantric temple – or soulless and uninviting? Are the sounds disturbing or relaxing? Does it smell stale or pleasant? Human qi is the effects of your health and wellbeing, personality, actions and behaviour, taste and intentions, and in the yin form, your unconscious fears and desires. What activities do you do before you sleep? Do you take your dog for a walk, have a bath, meditate, read, make love or have a massage? Or do you work, drive, use a mobile/cordless phone, watch stimulating TV, eat sugar or coffee? How do you feel when you go to bed – are you stressed, irritated and tense, or relaxed, content and peaceful? If you share your bedroom, are you disturbed by your partner’s habits, or do you feel relaxed, comforted and supported by their presence? This series of articles concludes next month by examining space clearing, geomancy and healthy home perspectives.